Posted by: Ash on December 24th, 2015, in Guides. . Hiking in the Amazon Rainforest is one of the favorite activities as its a great way to see the abundant wildlife living all around you. With your highly skilled rainforest guide, explore the high numbers of rainforest animals and plants, such as the many different monkeys, colorful birds, and fascinating reptiles while on Amazon Rainforest hiking tours. 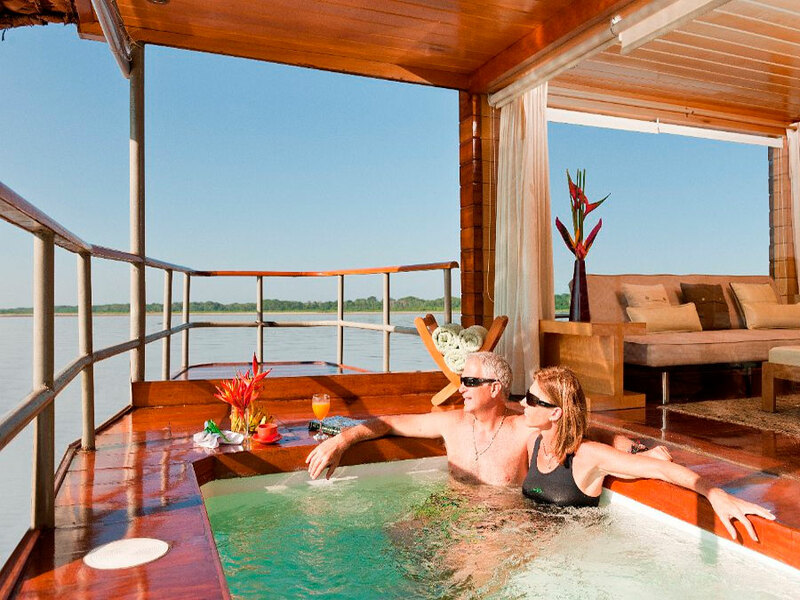 Most of the rainforest lodges in the Amazon offer hiking tours along with boat rides and canoe trips. A good thing to note is that the best wildlife and best hiking is found in the deeper rainforest where the amount of animals and plants is at carrying capacity. The Amazon Rainforest is home to many different habitats, such as terra firme areas and flooded varzea forest. The best hiking areas are in the higher ground areas, so make sure the areas never gets flooded or choose the low water season for your travels. While exploring the forest, you are likely to see several different Amazon Rainforest monkeys, such as howler monkeys, capuchins, sakis, spider monkeys, marmosets and tamarins. The monkeys are one of the favorites to encounter along with the brightly colored macaw parrots and hundreds of beautiful tropical birds. If you’re after some intense rainforest hiking, we recommend hiring a private guide or choosing a tour where private guides are the standard, such as the Tahuayo Lodge in northern Peru. This means you can go at your own pace and customize the tour to your liking. 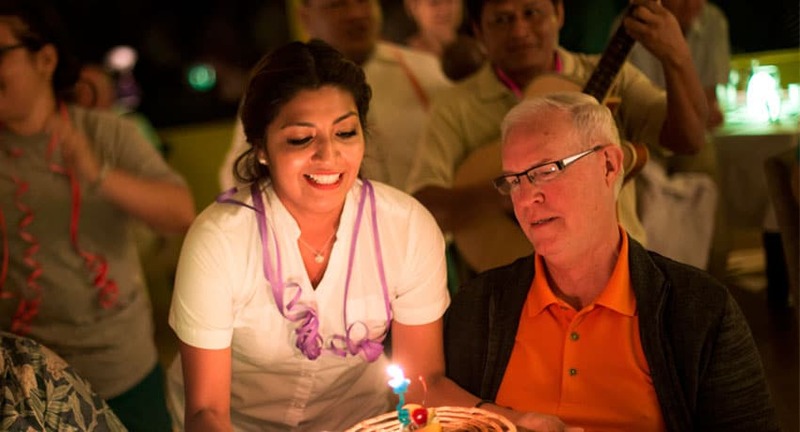 From the Tahuayo Lodge, you will head out into the Tamshiyacu Tahuayo Reserve and its surroundings with your private guide on a custom tour of the northern Peruvian rainforest. 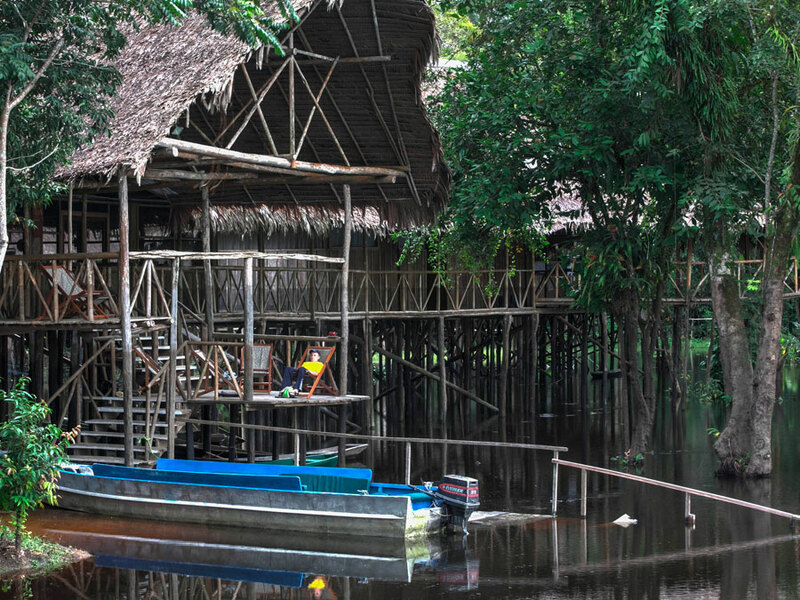 Enjoy visiting their sister lodge at the Amazon Research Center on tours of 6 days or more to hike their 1000 acre grid system where researchers are studying rainforest fauna. 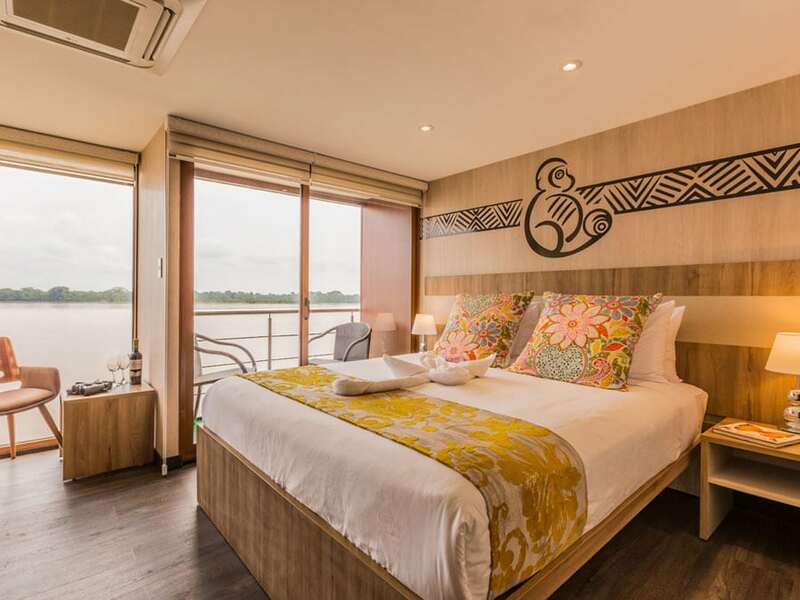 Enjoy seeing an fantastic amount of Iquitos wildlife from these lodges, which have been carefully positioned after exploring the area for the best sites. Due to the custom itinerary, you can wake early in the morning for a full day hiking and return to the lodge in the evenings. If you’re really feeling adventurous, you can also head out on a camping trip into the areas where the rarer Amazon animals live. This also provides the opportunity for nights in the rainforest and observing the incredible colors of the Milky Way. 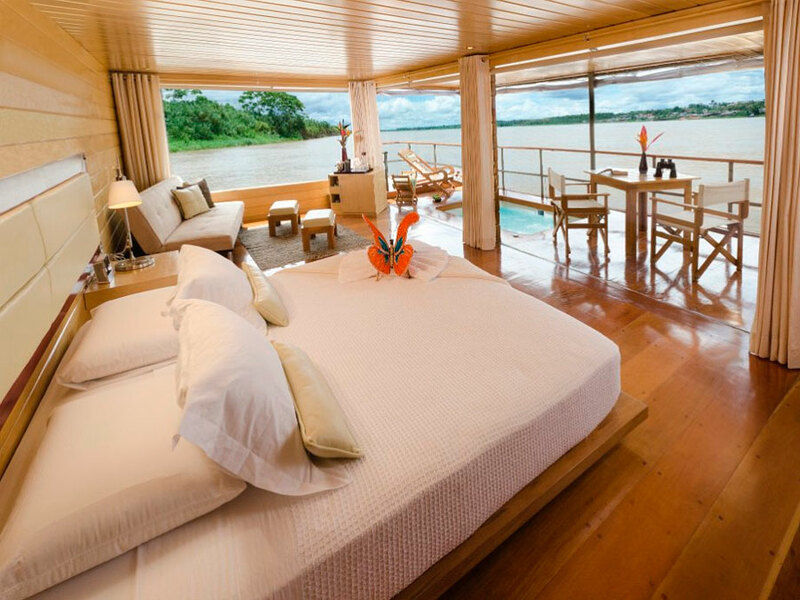 With such great access to the protected area and two widely spaced Amazon Rainforest lodges with highly rated service and attention to details, the Tahuayo Lodge continues to offer one of the best rainforest tours in the northern Amazon. The Tambopata Research Center provides some great hiking experiences deep within the Tambopata National Reserve. Enjoy being close by to one of the Amazon’s largest macaw clay licks to see hundreds of these colorful birds. In addition to this wonderful macaw viewing area, hike the tropical rainforest with your guide to enjoy many different monkeys and hopefully some rarer rainforest life. 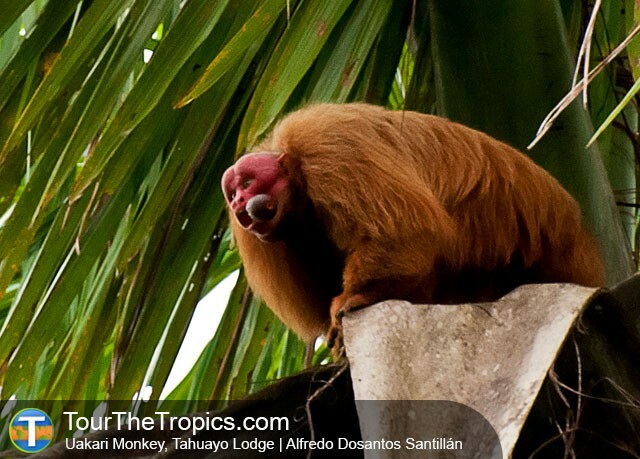 Enjoy finding several different monkey and a diversity of other animals, such as titi monkeys, squirrel monkeys, capuchins, howler monkeys, capybara, caiman, agouti, and white lipped peccary. For the Tambopata Research Center, we recommend hiring a private guide for the best hiking opportunities in order to keep to your pace and do what you would like to do. 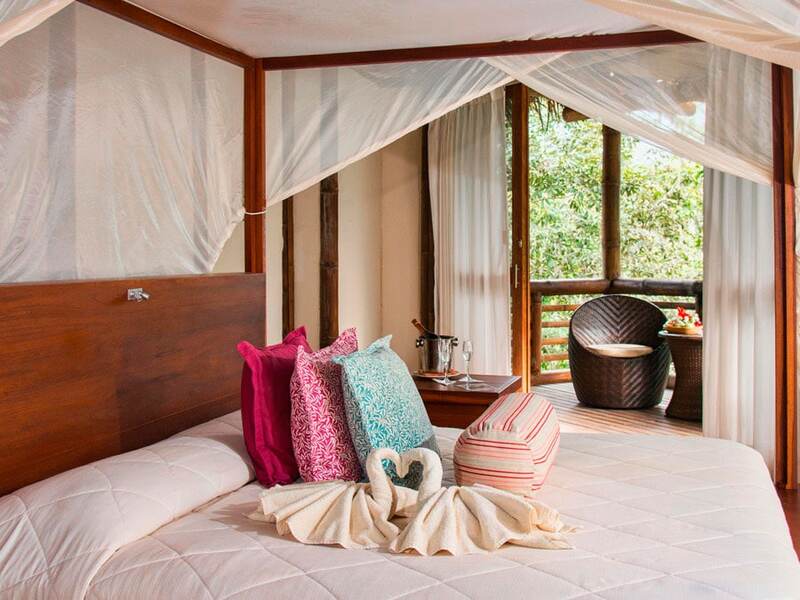 To combine with fantastic Amazon Rainforest hiking, at this lodge you can also enjoy some add on activities, such as kayaking and canopy climbing. These are in addition to the regular activities of the clay licks and climbing the small jungle tower for wildlife viewing. 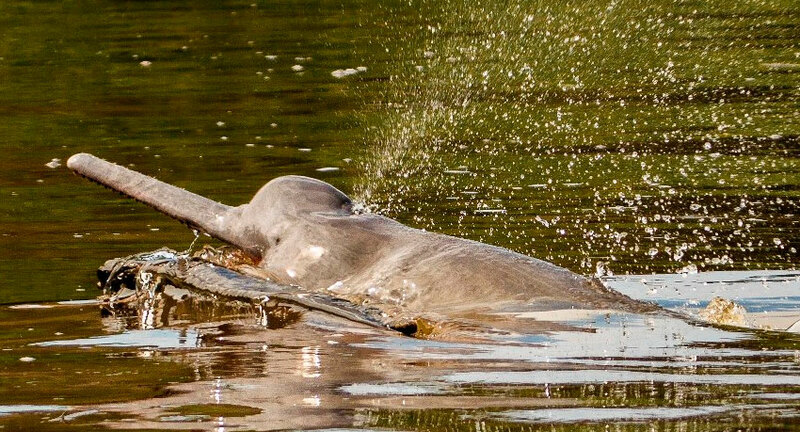 Sitting in the Amazon Rainforest of southern Brazil, just above the Pantanal, the Cristalino Lodge provides some unique wildlife sightings as it’s on the fringe of two of Earth’s greatest ecosystems. Enjoy hiking the protected areas around the Cristalino River to see incredible wildlife, including different monkeys and some species only found in this section of South America. The Cristalino Lodge has many different rainforest trails, each offering around 4 hours hiking. These lead you through various and carefully chosen sections of Amazonia. The trails have been designed to show off the best features of the area and wind past giant trees and the best areas for observing wildlife. In addition to fantastic hiking opportunities in the Brazilian Amazon Rainforest, enjoy canoeing tours, incredible wildlife, and visits to the two giant Amazon canopy towers, which are the largest in Amazonia. If a little luxury combined with incredible hiking opportunities is more your style then we recommend a tour from La Selva Lodge in the heart of Yasuni National Park, Ecuador. Enjoy fantastic hiking to see many different Amazon animals. La Selva offers many different hiking trails through the Ecuadorian Amazon Rainforest of Yasuni National Park ranging from around two to four hours. The trails pass lakes, giant strangler figs, and impressive wildlife. On your rainforest hikes, enjoy seeing a range of wildlife from the Ecuadorian rainforest, such as different monkeys, many colorful birds, giant river otters, and caiman crocodiles. In addition to great hiking and a very comfortable lodge, enjoy the canopy tower to enjoy life in the trees and to catch sight of a different level of Amazon wildlife. Explore the waterways with your guide to enjoy river wildlife and the animals and plants close to the water. 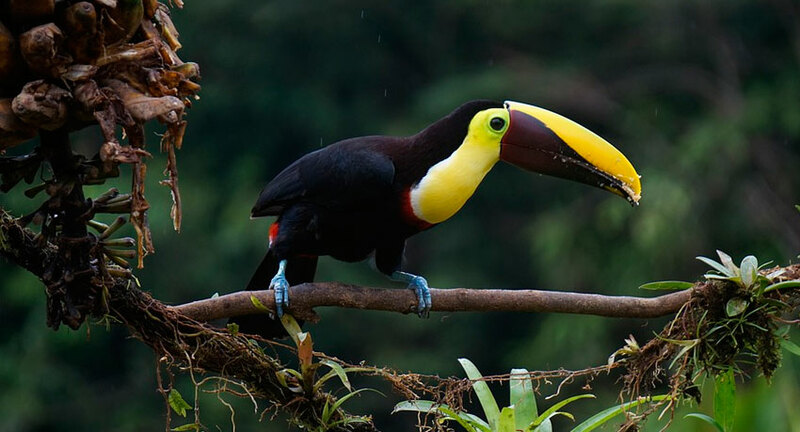 Spot colorful birds, including macaws, parrots, tanagers, and toucans. As well as exploring the rainforest by day to see the impressive assemblage of life, you will also head out with your guide on night hikes when the rainforest opens up for a completely different assortment of rainforest life, such as bats, caiman crocodiles, and some of the more elusive rainforest animals. Another great lodge just outside the Yasuni protected area is the Sacha Lodge, which offers an impressive 940 feet (275 meters) canopy walkway. Enjoy incredible hikinh experiences with your Amazon guide along the various Amazon trail to spot a wide range of rainforest wildlife. Stop at the Yasuni Clay lick to see colorful parrots and enjoy the lodge’s canopy tower. This is a great lodge and is a special favorite if you have an interest in birding, as given the fantastic infrastructure for wildlife exploration you’re sure to see many different varieties. The Amazon is the world’s largest rainforest and provides homes for more animals and plants than anywhere else on Earth. This makes it a great place for hiking tours as you are surrounded by the highest diversity of life on Earth. While deep in the rainforest on some good hikes, you have the opportunity of seeing some of the lesser seen rainforest animals that enjoy living far from disturbance, such as uakari monkeys in the Tamshiyacu Tahuayo Reserve or the large spider monkeys. As you’ll spend more time in the forest, this also increases your chance of seeing a diversity of interesting animals, such as coatis, many different monkeys, and some of the rarer birds. What is the Best Itinerary for Peru?